Forget using your body to control your video games, or making realistic motions with a game controller to make similar movements in the game. The future of toys and video games will be the ones that only require you to sit still, concentrate and use your brain. The EEG technology used in hospitals to measure brainwaves has found its way into the consumer market in the form of games that let you move control the game piece or character just by thinking really hard. 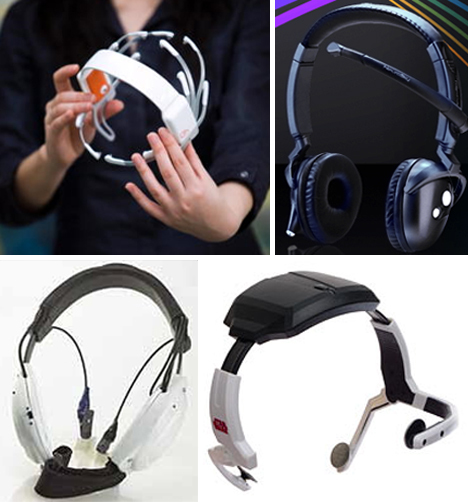 The games using the technology are currently pretty simple, but it’s easy to imagine that mind-controlled games could soon let you do everything that games with hand-held controllers do now. 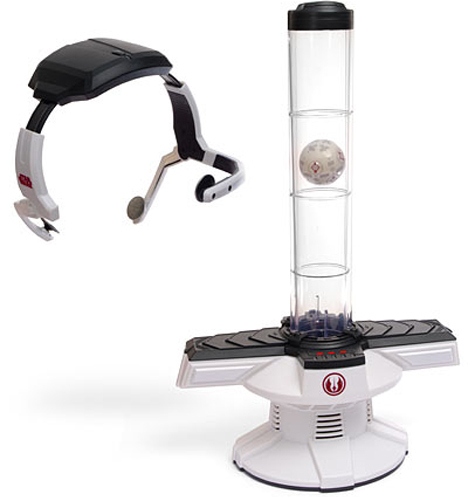 A simpler toy that uses the same brain-controlled air stream concept is the Star Wars Force Trainer. It doesn’t involve any complicated mazes or guiding the ball through hoops; you just have to control the flow of air to Yoda’s cues. As you learn to control your concentration and brain waves more effectively, you move through the Jedi ranks. Hopefully the constant Star Wars sound effects don’t distract you from achieving your destiny. If you’re ready to start your training, the Star Wars Force Trainer is available from Think Geek for around $130. The technology used in both of the above toys was developed by NeuroSky, a San Jose, California-based company. They also offer their own take on brainwave games with the NeuroSky Mindset. The headset looks a little like a hands-free telephone headset with the microphone in the wrong place. 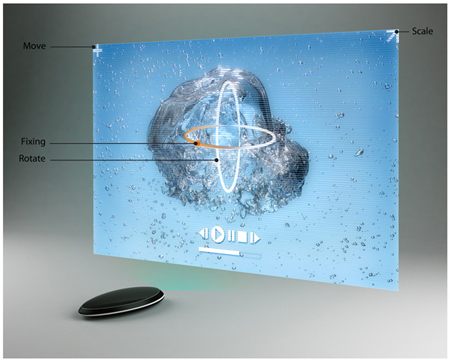 The starter set comes with “Brainwave Visualizer,” an application that lets you control on-screen shapes based on your state of mind. A demonstration of The Adventures of Neuroboy is also included; the demo has you use your mental muscles to push, pull, lift and burn on-screen objects. A game called Math Trainer is also included with the Mindset, and apparently lets you answer math questions with your mind. Several other applications are in the works, and NeuroSky seems devoted to figuring out fun new ways to use brainwaves as entertainment. The company even offers development tools to help users create their own games and content for use with the Mindset. 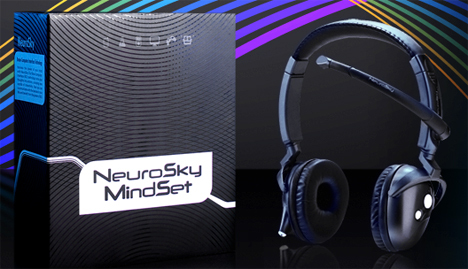 Get the starter kit from NeuroSky’s online store for $199. 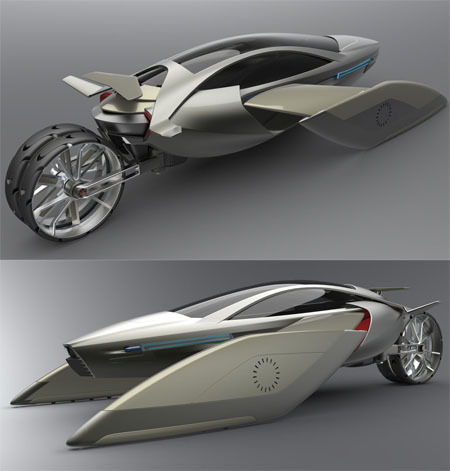 I have no idea in what stage the development of this car is….buuut i kinda like it! Starting from mass people who can barely manage to buy a car, even worse can hire a taxi to multimillionaire who can easily buy a plane definitely dreams for such a car that can fly. 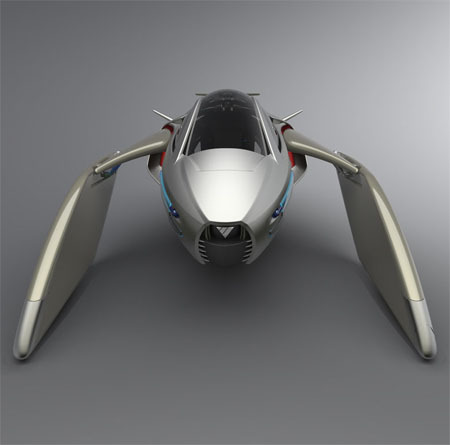 To make this dream come true, the YEE car has been designed with the ability to instantly become a flying machine and taking-off without the need of a runway. 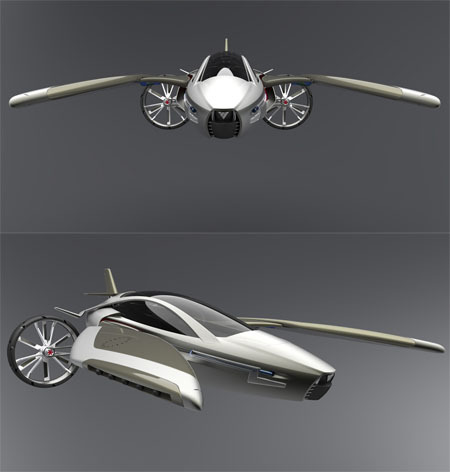 This concept will give relief from the hectic city traffic, as well as provide quick commuting alternative with the excitement of an enjoyable flight. 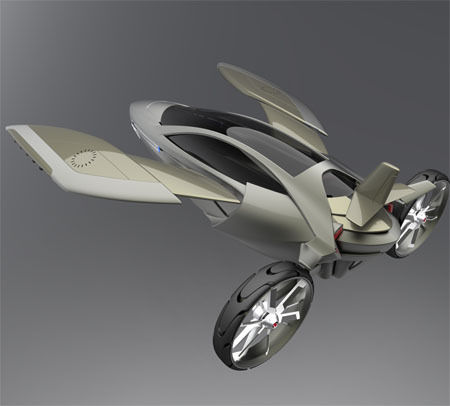 This super cool car can quickly switch to flying mode by upturning the front wheels sideways and rear wheels to the outside back. Therefore, the rear wheels were specially designed to serve the purpose of a propeller. Aside from solar charging through the panels spread over the ceiling, this flying car can be charged when docked at the flying station that acts as a transit depot too for the car. What more can i say then: “Wow, so cool’? I know, I want one too. I don’t think there is a living soul out there who wouldn’t want one. This amazing phone has all the functions of a contemporary phone such as: mobility, constant Internet connection, access to documents, games and the best possibilities and means of communication and contact. But these are just basic features. The most important feature is, that you can create your own phone case, fully customizable, painted with pictures you pick from the Internet, you can create the phone of your dream, a brand to call your own. 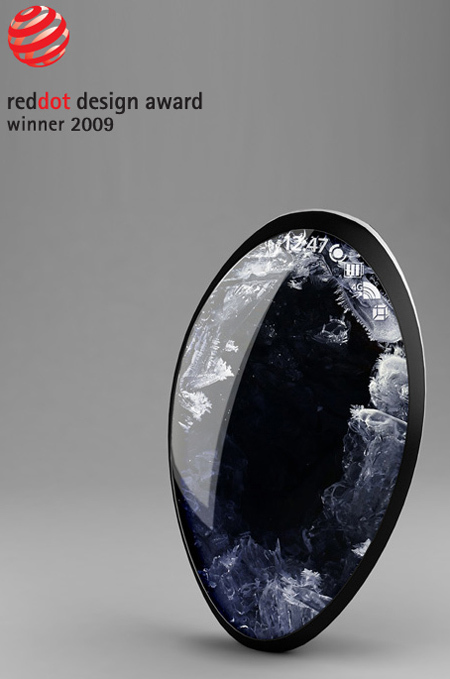 With the “Magic Stone” each customer will be able to feel himself a creator and to see a real embodiment of it’s creation. Year after year the need of self-expression is growing. Sometimes we come across some nice ideas and designs. 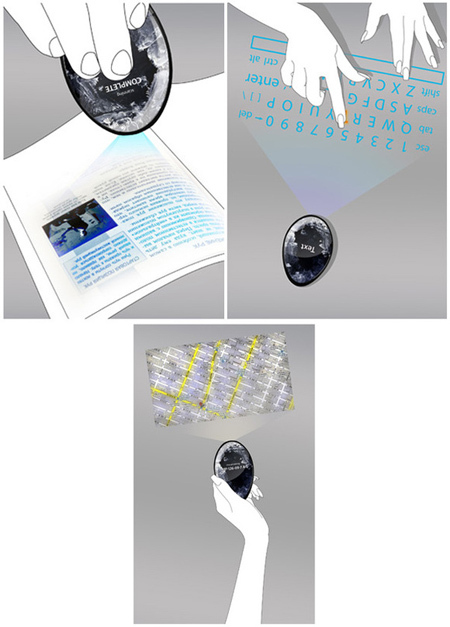 Today we want to feature a hugely fascinating light-concept-design by Seo Dong-Hun. It’s a marvelous Futuristic work of Art. See more >over here< at yankodesign.